Well what do we know??? 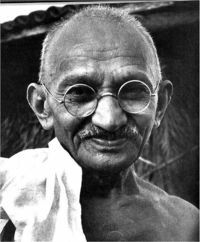 Gandhi basically said that the “BRITISH PEOPLE” did not act like “CHRIST” at that time… NOW ISN’T THAT INTERESTING??? Wow… What can we deduce from that??? What is this saying about Christian descendents of British Ancestry?? ?